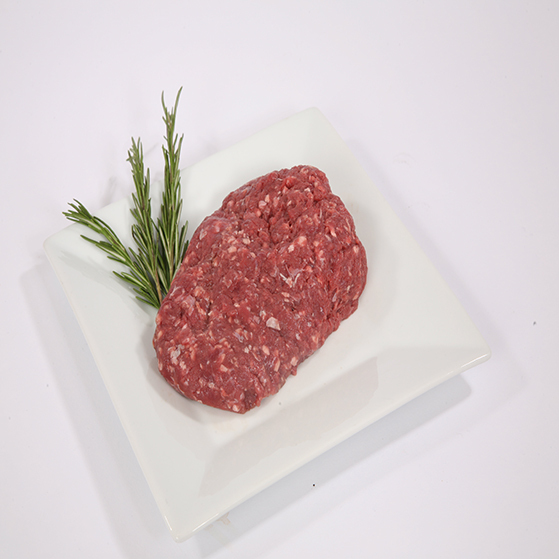 A fantastic starter or just to serve as snacks or canapés - giving a rich, sumptuous flavour using our venison mince mixed with sausage meat. This recipe below has been adapted from a similar recipe in the Telegraph Magazine. Make sure the quail eggs are at room temperature before boiling - if they have been in the fridge take them out at least an hour before cooking. Place them into boiling water for exactly 2 minutes 20 seconds and then immediately remove and plunge into iced water to stop them cooking further. When they have cooled, peel them and leave them back in the water. Preheat the over to 180c/gas mark 4. Mix the venison mince and sausagemeat together with some salt and pepper and the herbs, and then form into balls approximately the same size as the eggs. Remove the eggs from the water and pat dry and then flour the eggs. Squash the balls of meat into flat circles about 10cm in diameter and place the egg in the middle and encase the meat around it. Mix up the milk and beaten eggs and then flour the balls before dipping them in the egg and milk mix and then into the breadcrumbs. Repeat the flour, milk/eggs and breadcrumbs process on each one so they are well coated. Then deep fry the balls in the plain oil at 175c for about 4 and half minutes and then finish off in the oven for a further minute. 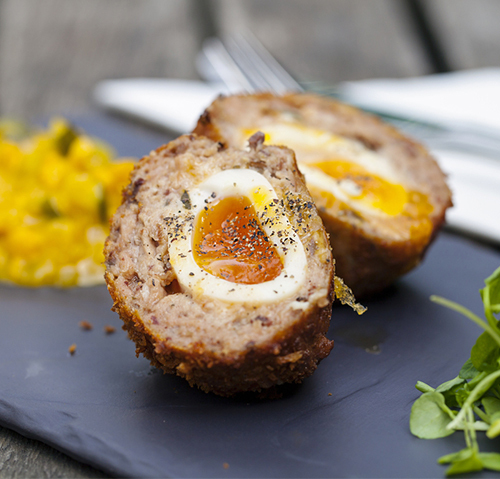 The scotch eggs should be brown but not burnt and the meat cooked through with soft yolk eggs.